Time has passed by without much of activity here in the blog land. The process of adapting to a new world is however smooth , it is only my laziness . I totally love the new city despite its traffic woes and the excitement of a new home is still on.I am overflowing with ideas of homedecor. The greenery everywhere is the most I love in my surrounding. Waking up to the call of mynha and cuckoo is a bliss and I have picked up backyard bird watching as a new hobby:) It is so much fun and here is a short list of birds I have spotted so far in my vicinity. 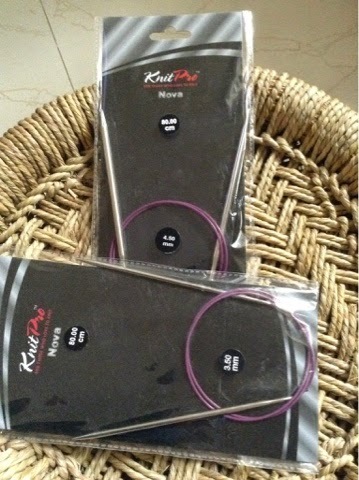 Last month also saw me winning a giveaway organised by Allkraftz, the online yarn store(yeah:):)) based in Noida. This is my first win and I was so so happy to receive two knit pro nova circulars as a gift. Time to pick up my knitting;) . Allkraftz team is doing a commendable job and it's such a pleasure ordering here. I like their gesture of adding little handmades along with the orders, every time. Looking forward for more yarns! good to hear that you are all settled and it's good to have you back blogging too! Hope you do well with accustoming to new life.